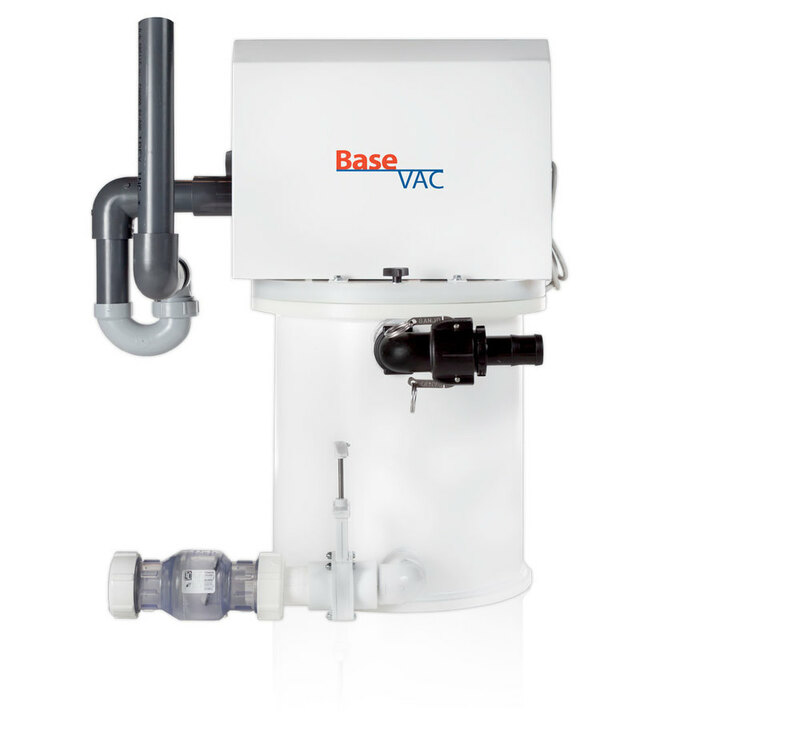 The M-Vac is an affordable powerhouse that packs the entire BaseVac experience into a compact integrated platform. 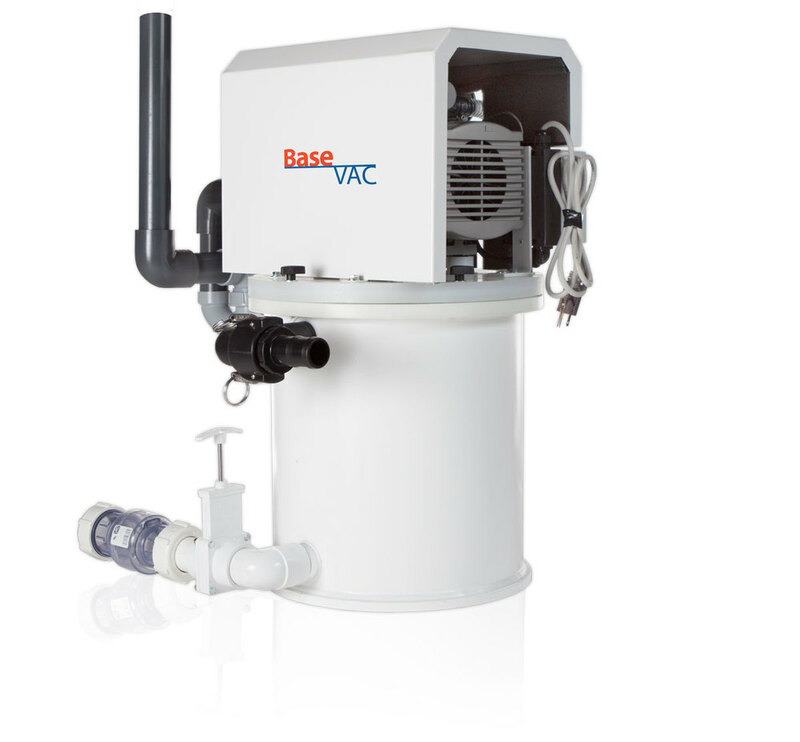 It's designed to be the perfect plug & play replacement for wet ring pumps in smaller clinics. All you need to do is install it, set it, and forget it. At only 30" tall and 17" wide it keeps a low profile without sacrificing functionality. With a vacuum this compact, the only question is what to do with all that free space in your utility room. Remote start capability built in for 2M series - remote switch not included. Exhaust Kit includes piping from pump with P-Trap, drain and 23 inches schedule 80 1 ¼ inch pipe. 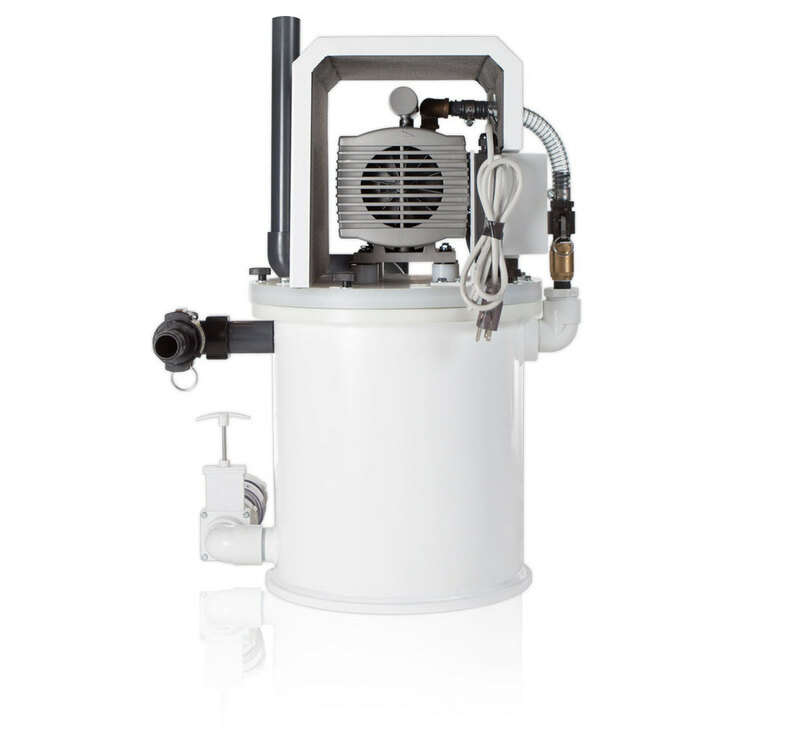 Inlet Kit includes hose and fittings from air water separator to vacuum pump.